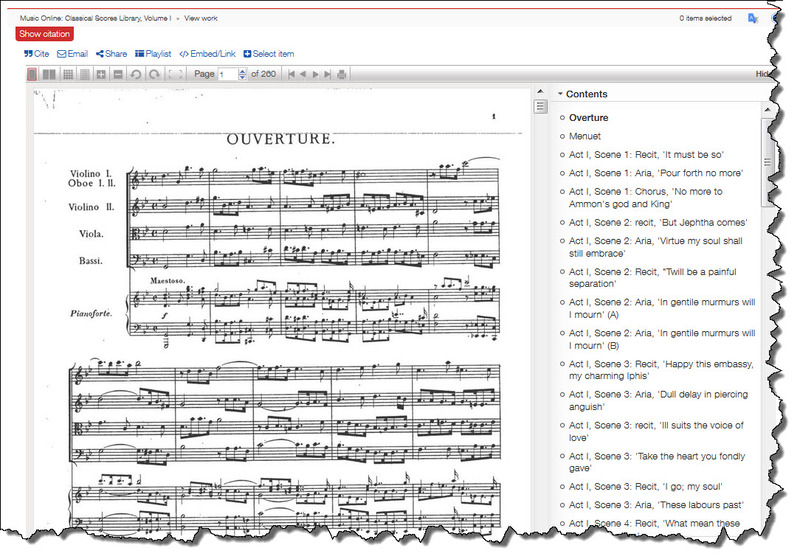 Music Online: Classical Scores Library is the largest, most comprehensive collection of in-copyright scores available to libraries online. 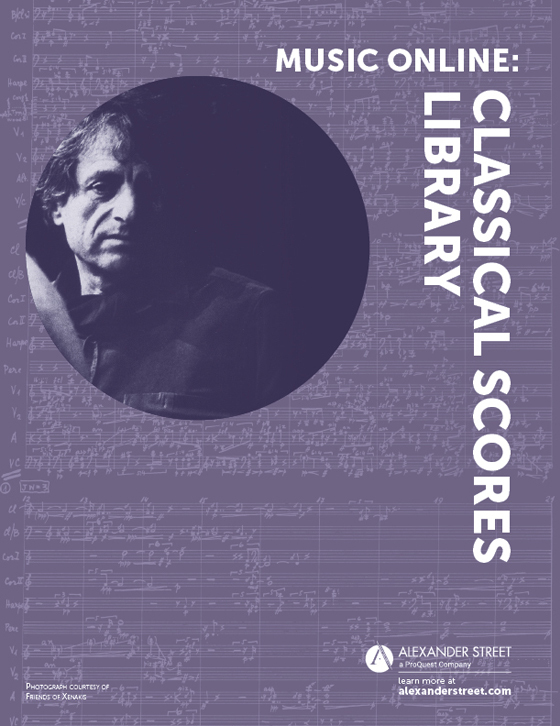 This multi-volume contains over 51,000 titles and 1.3 million printable pages of the most important scores in classical music, ranging from the Middle Ages to the 21st century. More than 4,600 composers are included, from traditionally studied composers such as Mozart and Tchaikovsky to contemporary artists including Kaija Saariaho, Peter Maxwell Davies, and John Tavener. This comprehensive resource, with full scores, part scores, manuscripts, piano scores, and more, all available on an interactive platform. Users can access access scores, zoom in to examine specific notations and tempo markings, and print scores for class or personal study. To learn more about Volumes I-IV of this collection, see the Featured Content page.